Joan A. Hall, 95, Holton, died Sunday, Feb. 10, 2019, at Holton Community Hospital. 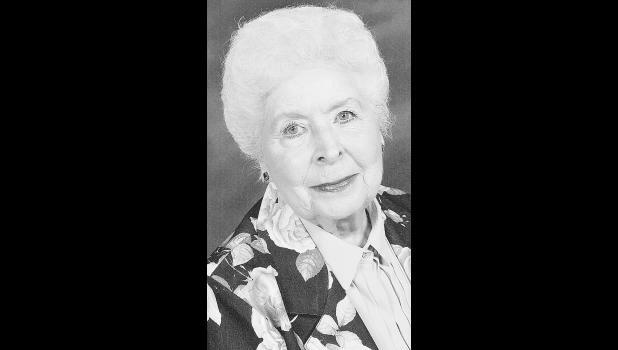 She was born Nov. 23, 1923, in Fairview, the daughter of John Henry and Mildred Jennifer Houlette Fraser. She graduated from high school and later graduated from Washburn University. Mrs. Hall worked as an administrative assistant for the Compton Union School District in California for 19 years. She later worked with her husband selling real estate before retiring. They lived in Yucca Valley, Calif., before moving to Holton in 2003. She married Richard Hall on Sept. 10, 1946, in Compton, Calif. He died Nov. 19, 2006. She also was preceded in death by three sisters, Jean Zimmerman, Shirley Babb and Janice Kathrens; and two brothers, Jerold Fraser and Glen “Jake” Fraser. Survivors include two sisters, Betty Adams, Central Point, Ore., and Mary Kleppee, Hiawatha; a brother-in-law, John Kathrens, Holton; and many nieces and nephews. Mrs. Hall was cremated. Private family services will be held at a later date. Memorial contributions may be made to the Heart of Jackson Humane Society, sent in care of Mercer Funeral Home, P.O. Box 270, Holton, KS 66436.